This site is mostly about me sharing the advice and tips that I’ve discovered while homeschooling our boys. But now, it’s your turn. I would love to hear about your best and your worst experiences, your most interesting information on homeschooling, your top tips… anything about homeschooling that you’d love to share. Go to the bottom of this page and leave a COMMENT to contribute your stories. Hi, my name is Kelly and we have three boys (2 four-year-old twins and one 2-year-old). I have been homeschooling them “unofficially” (5 is the required age in Florida) and have been stressing myself out that I MUST stick to a certain schedule/style. This cannot be the case…especially if the goal is to make learning fun and make homeschooling a long term family journey. I often beat myself up because I have not stuck to the plan of the day. I admit that I question whether I am fit to teach my boys and am happy to find that the answer is YES! I have found this to be true if I realistically meet the demands of our family life and try to thread in the aspects that each day brings along with some kinda plan. Do I want things to flow? Of course! But I have also learned to welcome the unknown/unplanned moments that come up (and there are plenty of them)… And by doing so it makes it so much easier! I make sure to incorporate learning throughout the day and let go of the mentality that my boys must be seated quietly, hands folded in order to learn! At the end of the day when I see the work that the boys have accomplished and proudly posted on the fridge, I’m impressed and amazed, that both my husband and I taught them – but better yet – that the boys learned it at a “not so perfect” moment! I am homeschooling three children: 2 Boys in Grade 6 and 3 and a Girl in Preschool/Kindergarten. I have found that a fixed schedule did not work for us, instead, it frustrated me because there were too many days where we had to deviate from it for whatever reason. So this year, this is what has been working well for us so far. I have divided the boys? work into two categories: Work they can do on their own and work they need to do with Mom. In the morning when I am busiest with cooking, clean up, and household chores they work on their own. They sometimes even start their work early in the morning when I am still in bed! The deal is if they get a certain amount of their schoolwork and chores done before breakfast they can play a computer game until breakfast is ready. After breakfast, they continue working on their own. At about 10:30 or 11:00 we sit down together to work on the subjects we all do together: Science and Social Studies. Then, after our lunch break, I work with each child individually as needed on the rest of the subjects while the other two play together. I find that my children have become better friends with each other when they play one on one with each other once in a while. This system works well for me because I find I have more physical energy in the morning to do my physical housework whereas in the afternoon I don’t mind sitting more which is something I can do while I am working with the kids at the table. Also, I am more relaxed and not as rushed with them in the afternoon because I know the laundry, cooking, cleaning, etc for the day have already been taken care of. I have been a stay at home mom for my twos boys, ages 7 and 4. we are just finishing up our 3rd year of homeschooling. I second the recommendation of one of the other ladies who said that they use My Father’s World curriculum. We have enjoyed that, too. This year, we studied early American History. We built a teepee from some tree branches (we are blessed with a lot of trees on our property!) and an old cream-colored sheet. BTW–Goodwill/thrift stores are great places to find cheap materials for hands-on learning and creative play. I need him to be enthusiastic about his work and patient with his minimal and slow progress. So I am going to try and really shake things up for him with a lot more energy and vibrant life in his lessons. It’s not easy to do this when there are sisters homeschooling, a toddler and a baby but I definitely don’t want a repeat of last years agonizing mornings. Thank-you for the knowledge that boys are different and I can support that and work with it! My son has A.D.D. by diagnosis but I believe he’s just a boy who doesn’t fit into the boring made for girls setting of traditional classroom teaching. One thing a friend told me she does with her Autistic son really hit home with me. 30 minutes a day their son gets 100% uninterrupted time. He can sit next to mom or dad( suggested to switch parent every other day) or on their lap. Mom or dad cannot talk at all. Just LISTEN. You will be amazed by how much you have missed and how wonderful he feels that someone focused on just him! Try it for a month and see for yourself! I found your website through a CBD review – THANKS!!! My children are second generation homeschoolers so we are at an advantage of knowing the traditional system of schooling doesn’t work. (My father was “dumbed down” by the public school system for being a typical boy) My two boys still constantly amaze me with their energy and hands-on abilities! Since my 2nd grader thinks he can’t read, I started writing my own stories about my two boys living in the wild west. They love it! He easily reads them to me, and we laugh at my illustrations since I am not an artist. Thanks to the mother who shared her story of having a son write chapters for himself. I can’t wait to have my son try it! We take several short breaks and use a lot of hands-on (not writing) activities. 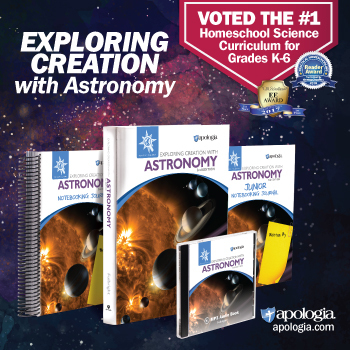 Heart of Dakota and Apologia Science curricula are at the top of our list for boys. I have a daughter who also benefits from lessons in this manner. Thanks for the website. I will be returning often. I just stumbled upon your website and I am LOVING it so far! I homeschool our three boys ages 13,7, and 4. It is truly an adventure! We are a very active family and my boys rarely sit still during class time. We spend most of our time on the floor during school hours. We use My Father’s World Curriculum and just love it! My boys really enjoy history and MFW has a strong emphasis on history from a biblical perspective. We also use Singapore math and I find it very engaging and appealing. Great step by step instructions too. The best advice I can give to any parent, homeschooling or otherwise, is READ, READ, READ! I read aloud to all of my children daily. I read to them for around 1 hour per day…and YES they actually listen the entire time! My second piece of advice is to pray together. And don’t be afraid to admit your own faults and shortcomings. Be honest and you can all learn to pray for each other and realize it is a day by day walk with the Lord and each of us will stumble at times. Keep up the great work! I am always thankful for those who are willing to put in the time to create a really great curriculum and save the rest of us the time it would take to plan it out ourselves. Great web site. It gave me some useful tips. Here are a few suggestions which I found helped my boy learn words and enjoy his learning. 1) Write sight words on a paper bag. Blow up the paper bag and tie with string. The child says the sight word on the bag before jumping on the bag to pop it. My boy loved the sound of the bag popping and learned his sight words quickly. 2) Write sight words on paper plate, and the child reads the word before checking for a surprise under the paper plate. 3) Put a word on a Frisbee and the child says the word before throwing it. Then use two frisbees for 2 words. 4) Make a homemade pinata. If the child reads a word correctly, he gets to hit the pinata. He practices his words until the pinata breaks. 5) The child has a slingshot or rubber band on a stick. The child must hit the word (on a wall) with a rubber band. They like the target practice. 6) Using a water pistol, get the child to squirt the word with water. The word should be written on the ground in chalk and the child must say the word before wetting it. I stumbled across your wonderful website after entering “+boys +energy +noise” into a search engine in a quest for fellowship! I homeschool our 3 boys, 3, 5, and 6.5, and am often laid low by their sheer exuberance. They are *truly* sweet, loving, gentle children, yet I often feel guilty for not being able to match their unique level of vitality. Fostering close family bonds was my primary reason for choosing to homeschool, and having come from a family of crafting/reading/recorder-playing girls, I am always baffled as to what is appealing to my sons— When left to their own devices, they zoom around (and around and around) the house in a tight pack, re-arranging what I once thought to be permanently situated furniture, all in order to properly set up their next big adventure, full of peril and disaster!! I can only watch in wonder! I appreciate your effort in supporting Mothers in nurturing our sons in ways they can appreciate and benefit most from. I look forward to gathering more ideas from your newsletters. For what it’s worth, there are a couple of things we do here that seem to be working well. After realizing the sheer boredom of single workbook-type language instruction, I decided to try having my oldest write a chapter book. It is an on-going adventure story starring all three boys and their favorite cousins. Each chapter is usually 5 or 6 sentences explaining the exciting, scary, or absurd situation the explorers find themselves in and what they plan to do about it! Occasionally, a chapter is accompanied by an illustration. He has been writing his story for 5 months now and has 42 chapters! Twice a week, we make spelling, punctuation and penmanship edits and then use his story as a copybook. He then has a “draft” copy and his “good” copy. It’s fun and interesting for us to look back, and see both the free-form continuity and the overall progress of his writing and penmanship skills, and he never complains about the boring content of the copywork. In fact, he feels proud! Additionally, my children both love Miquon Math with Cuisenaire rods and playing 4 Way Countdown from Cadaco. It gives great practice in recognizing number families and relationships among the four basic operations. Hopefully, these ideas can help others find joy in educating their sons…I apologize for being so wordy!! Thank you for your fantastic site…. sure they would be thrilled to do their handwriting, spelling, grammar, etc in this way!!! If you’ve been homeschooling your sons and adore it as much as we do, please share your stories with us! I’d love to try them on our sons and I’m sure others who visit this site will thank you, too! Please leave a COMMENT below. Hi! It’s Matt from Holiplay Games. We created a family multiplication strategy card game that could be of your interest since you are all about education and parenting. This is a must have tool for homeschooling parents! We are going to run a Kickstarter campaign and want people to know about the games. It has more than ten different way to play it and many other features that blend meaningful learning with math, specifically multiplication tables exercising for the whole family. And there are another 9 games to follow. As usual, time is of the essence. We want to launch the campaign by the first day of September. We have applied to the Academics’ Choice Awards as well which results come out mid August. If you would like to know more and if someone on the team could do a review, please let us know. We would send the games a.s.a.p. HoliMaths X – a family multiplication strategy card game – 10 ways to play it -1 to 6 players – 7 and up – Innovative card game aimed to meaningful/significant learning – Develops logical thinking – Converts an individual learning process into a collective one generating social interaction – Helps develop tolerance to frustration – Promotes strategical thinking to solve problems – Aimed for intergenerational integration involving parents and grandparents in a fun way for the whole family!